As you might have guessed from this photo, I found myself in Bath the past weekend. 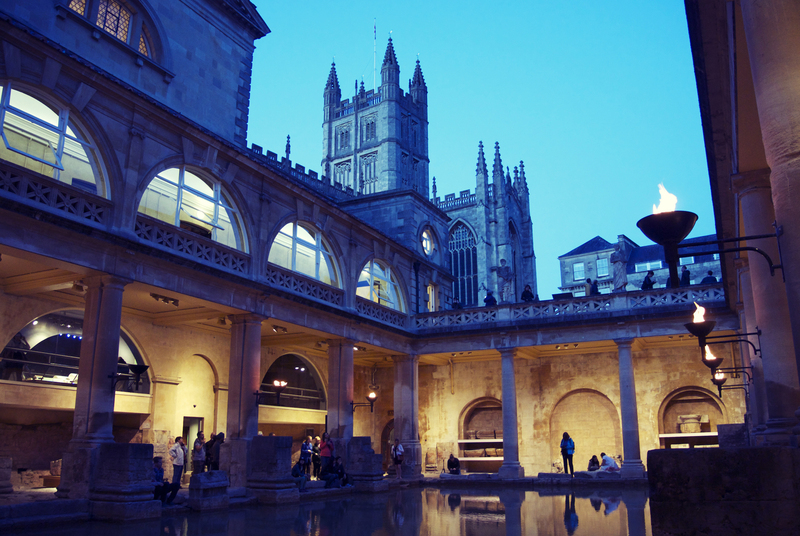 My Mum and I wanted a weekend somewhere, and after going through a long list of places, we finally decided on Bath. We picked a great weekend for it, bearing in mind I’m currently sat in my living room as it utterly tips it down outside. If it had rained on Saturday, it would have been an incredibly miserable trip. After a quick stop off at Swindon for some outlet shopping, we parked the car in the car park underneath our hotel (the Hilton Bath City) – we were a little too early to check in, so we went straight out on our mini tour around Bath. 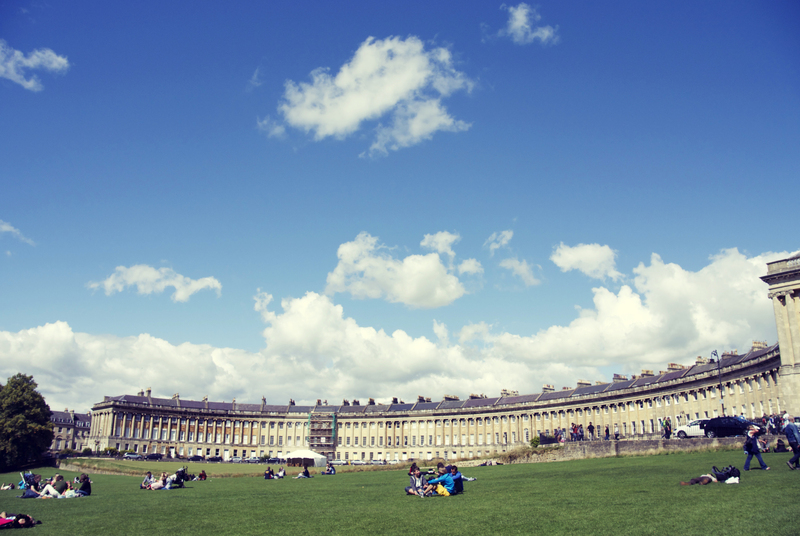 I was very keen to see the Royal Crescent first of all as it’s so iconic, so off we trundled. I may have taken us the wrong way first of all, because I’m pretty sure we were supposed to go away from the River Avon. Still, it was very nice to see the Pulteney Bridge. We eventually got back on track (after going in the wrong direction again) and had a lovely sit down in the park by the Royal Crescent. We thought about going into the museum at No 1 Royal Crescent, but instead decided to go shopping. Woo! Bath has some great shops and we spent a good hour or so wandering in and out of different stores. Coffee called to us, so we stopped at a coffee shop and then quickly popped in to the Guildhall Market – the oldest shopping venue in Bath – before taking some lovely Patisserie Valerie cakes back to check in. The hotel was ok – the room was quite small and there was no bath in the bathroom (the irony) but it was very clean and comfortable. 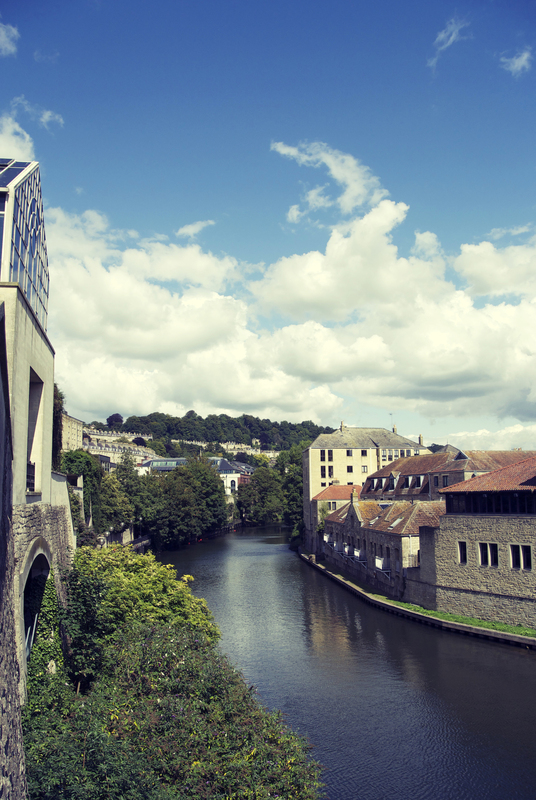 We had a bit of a view as well – Pulteney Bridge just about visible down to the right. We napped for a bit, had a shower and got ready for dinner. We chose a restaurant a couple of minutes walk away called the Tramshed and got some free prosecco as my Mum told them this was my birthday trip. We then ate far too much food – which was all delicious but made me feel incredibly full. I couldn’t finish my dessert, which I was very sad about. 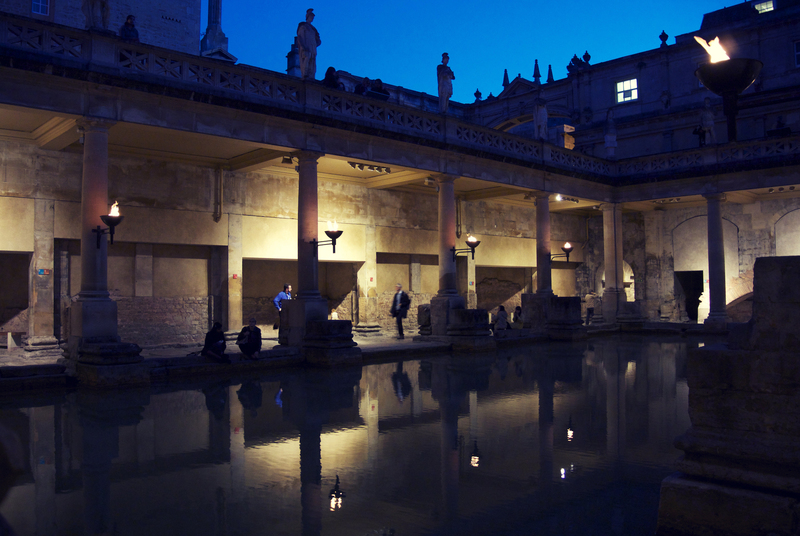 We then made a quick stop at the hotel to get changed back into our day clothes again, and went over to the Roman Baths. We had decided to eat early as I’d read that the Baths open late in the summer, and I am so glad we decided to go as it was magical. We had walked passed the Baths earlier in the day and the queue was out the door, but at 7pm, we walked straight in and it was so great to walk around without the crowds. The torches had already been lit as we entered and walked around the terrace. As the sun went down, it just got more and more serene. 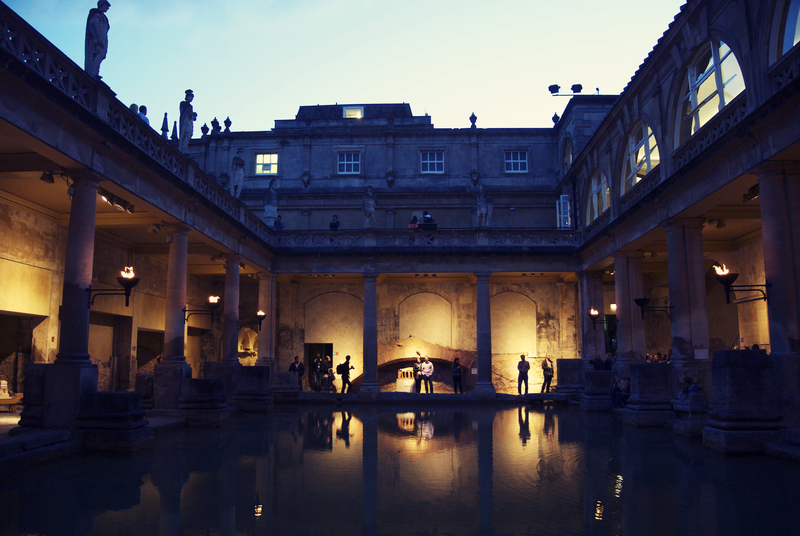 We went through the museum first of all and worked our way down – walking over the temple courtyard; seeing the Sacred Spring and the Spring overflow which was so warm, and then around the Great Bath itself. I could quite happily have spent hours here, just sitting by the water and taking in the peace and quiet. Not sure it would have had quite the appeal during the day so I’m just so so please we’d had the opportunity to see it like this. We reluctantly dragged ourselves away and I of course had a taste of the spring water. It made me feel incredibly sick which greatly amused my Mum. We took ourselves back to the hotel, exhausted and with tired legs, but very much looking forward to breakfast the next day. 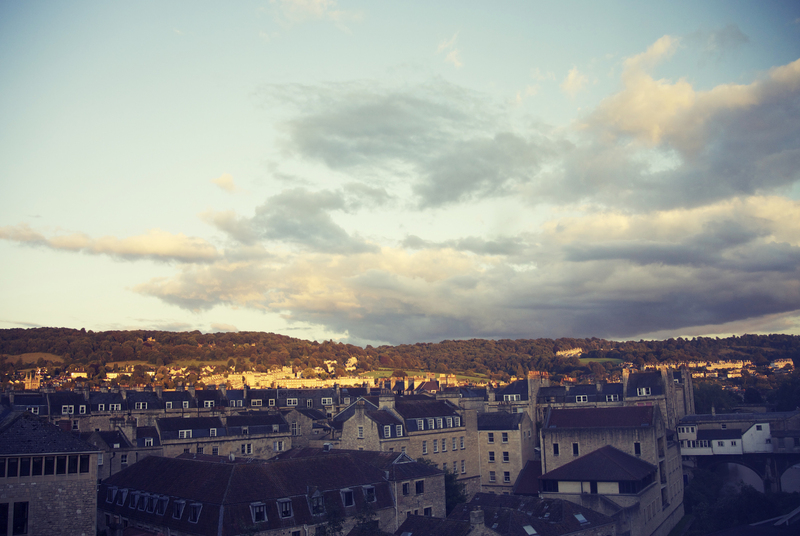 Ohh Bath is so pretty! 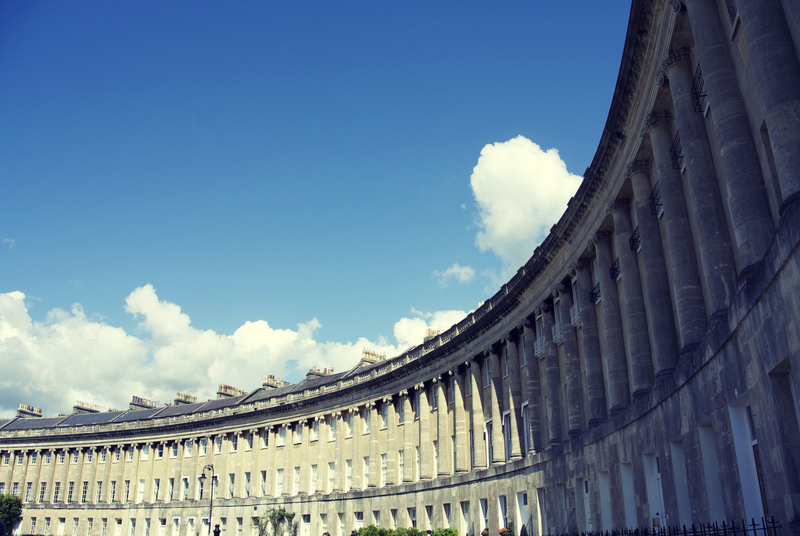 The Royal Crescent is wonderful. 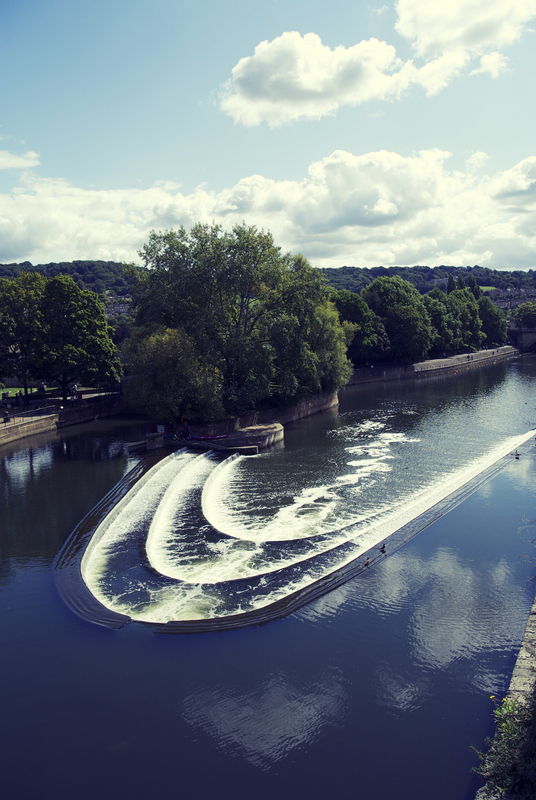 The River Avon bit, where Pulteney Bridge is – when we were in Bath and just happened to be there, there was a canoeist who got stuck in that torrent section and we all watched as he left his canoe behind and then they had to rescue the canoe. One of my main memories of Bath.